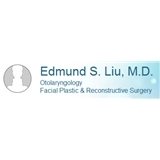 Edmund S. Liu, MD (Verona) - Book Appointment Online! Dr Liu cleared my ear up immediately! The staff was very friendly and there was no wait time at all. I would definitely recommend Dr Liu!